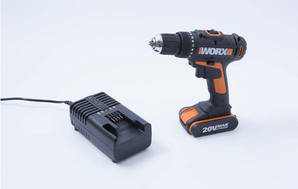 Snapshot: The Worx WX166.1 cordless drill has 2 gear ranges and comes with 2 batteries. How well does it drill? Comes with two 1.3Ah-capacity batteries. Chuck size is only 10mm.